Headed to check out the new Voyage to the Iron Reef 4-D ride at Knott’s Berry Farm? You’ll enjoy that ride and a whole lot more that’s new at Knott’s this summer. 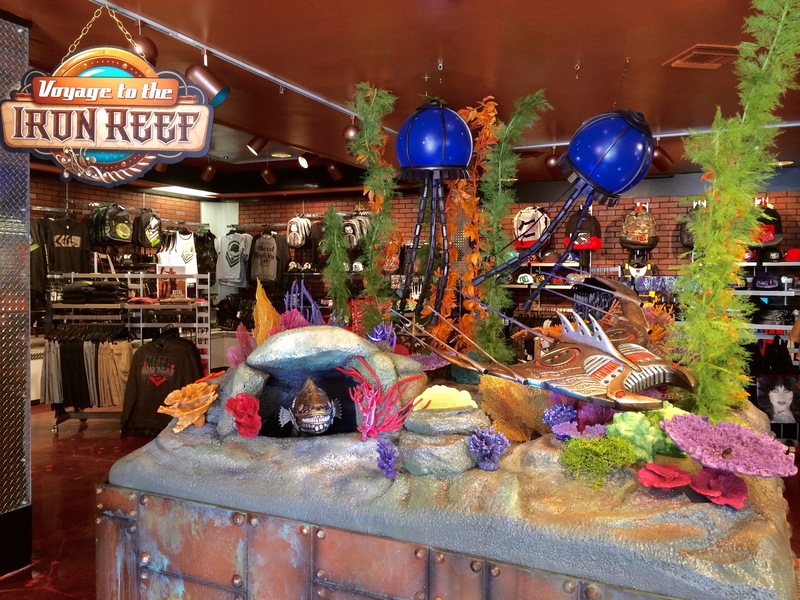 On the Voyage to the Iron Reef, guests become deep sea navigators by climbing aboard submarine-inspired ride vehicles and embarking on a four-minute gaming adventure into the Iron Reef. Equipped with an interactive freeze ray, riders defend Knott’s from the Kraken Queen and her aquatic army, blasting iron-clad 3-D sea creatures as they attempt to save the park from a watery doom. Through underwater forests, ocean current tunnels, and mechanical wreckage, high definition 3-D animation surrounds riders at every turn. Along the way, the submarines navigate 600 feet of track and 11 scenes featuring hundreds of media-based creatures and live action special effects. Fun facts about Voyage to the Iron Reef: 1) The network cable that powers the screens is long enough to wrap around the Hollywood sign 85 times; 2) Riders can blast hidden medallions throughout the ride to score higher points; and 3) Easter eggs of various iconic treasures from Knott’s past are hidden throughout the ride and interact with the blast of a freeze ray (Hint: Look for the famous Roaring 20s sign!). Blockbuster Beagle!…on Ice at the Charles M. Schulz Theatre: Snoopy and his Peanuts buddies “go Hollywood” bringing Walk of Fame glamour, dazzling movie lot escapades and California excitement to a brand new ice show adventure. Performing June 13 through August 23, with no shows on Wednesdays. Vertical Impact & Vertical Impact Geared Up Show: Vertical Impact, and the nighttime show, Vertical Impact Geared Up, is the ultimate blend of extreme stunts with high-flying acrobats. This high-energy show is set to the most popular songs of today, combining trampoline stunts, BMX bikes, skaters, dancers, and aerialists. “DJ Nytemadness” will keep the party going after each show while the cast joins the guests of all ages for a dance party. Performing June 13 – August 23, with no shows on Mondays and Tuesdays. Charlie Brown’s Happy Campers at Camp Snoopy Theatre: Join Charlie Brown, Linus, Lucy and the world’s most popular beagle, Snoopy in a show that’s sure to make an outdoorsman out of anybody! Performing June 14 through September 1. Big Band Swingin’ Sundays: Jump, jive, and swing to the sounds of Orange County’s best local big bands. Performing Sunday evenings from June 14 through August 30. Boardwalk Dance Party at the Boardwalk Circle Stage: Dance ‘til you drop and wave your hands in the air until you just don’t care with DJ Howly, one of Orange County’s most requested “mixers & spinners.” Appearing Monday and Tuesday evenings from June 15 through August 25, plus September 7. Ghost Town Streetmosphere: Ghost Town will be alive with townsfolk who will put you smack-dab in the middle of the Wild West. New residents who have put down stakes include Clem Culpepper, the ever hopeful gold miner; Ma & Pa Shine, our resident moonshiners; and Nathan Quickly, the Pony Express Agent. Performing daily from June 13 through September 7. The Ghost Town Miners at Spurs Stage: For a “Yeehaw” of a good time you won’t want to miss the Ghost Town Miners sing and play some of the best bluegrass this side of the Rio Grande! Performing Tuesdays through Thursdays, June 16 through August 20. The Marshal Purdy Show at Birdcage Theatre: Come on in for some old fashioned, homespun fun that’s sure to tickle your fancy and bust your gut. Performing Tuesdays and Wednesdays, June 17 through August 21. Got all that? Basically, any day you go there will be something special going on… So don’t miss your chance this summer to defeat the Kraken and then party the day away! 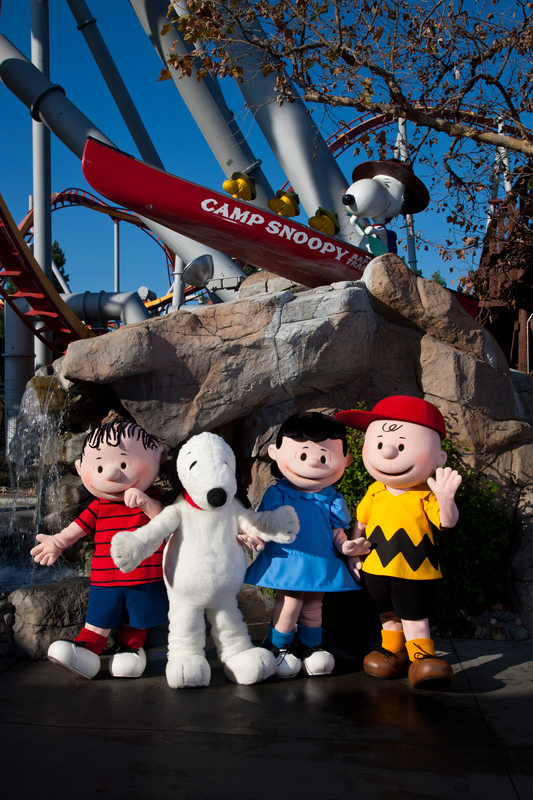 Knott’s Berry Farm is located at 8039 Beach Boulevard, Buena Park, CA 90620. Click for the full schedule of park hours. Blogger disclosure: The opinions in this article are my own. I do not work for, or with, any brand mentioned in this article, nor do I have any official relationship with them. I have a relationship with GigaSavvy, for whom I create original editorial content. 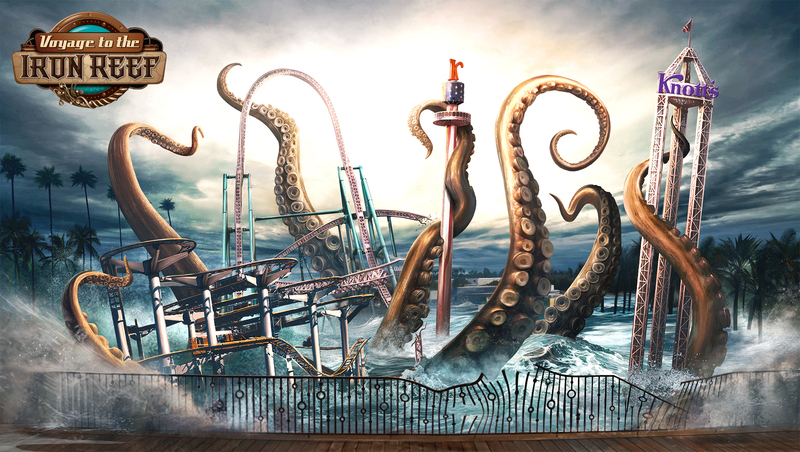 Ready to defend the Knott’s Berry Farm boardwalk from a horde of mysterious under-water dwellers? Better get crackin’…er…Kraken! 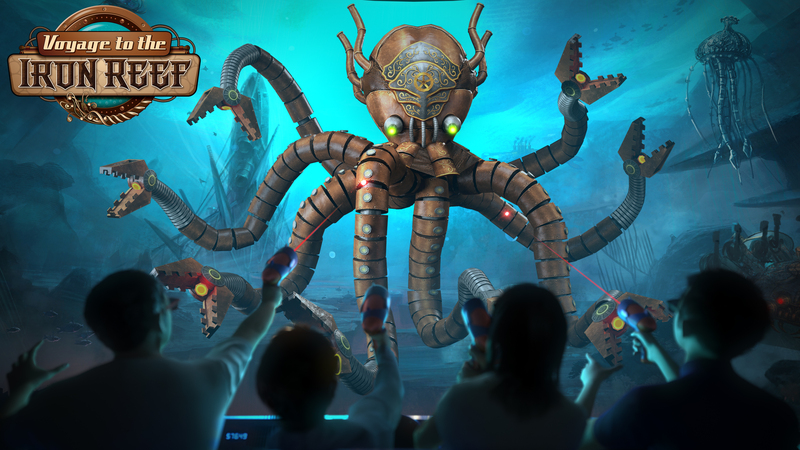 At Knott’s spectacular new 4-D attraction, Voyage to the Iron Reef™, ride-goers become deep sea navigators who have to defeat the Queen Kraken and her army of iron-clad underwater creatures. 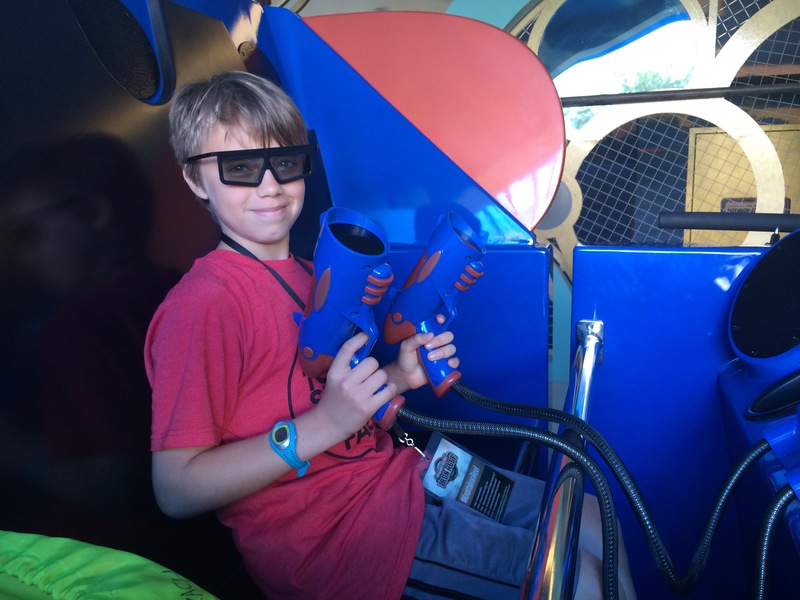 The ride, set to open to the general public on Friday, May 15, puts riders on submarine-like cars and gives everyone a freeze-blaster, allowing riders to compete against each other for high score bragging rights. Through the four-minute ride, more than 40 high definition projectors on screens up to 69 feet long bring the steampunk-inspired world of the Iron Reef to life. We had a chance to preview the ride this week with our young tween and it was genuinely a thrill a minute. Each time we went through (five, but who’s counting?) we had a slightly different experience with just as much fun. The ride is not scary in the sense of roller-coaster thrills, but the animation is dramatic and feels very realistic. As you progress through the ride, you’ll find enchanting underwater forests, disorienting ocean current tunnels, and mysterious mechanical wreckage. All told, your submarine will navigate 600 feet of track and 11 scenes featuring hundreds of 3-D animation-based creatures and live action special effects. 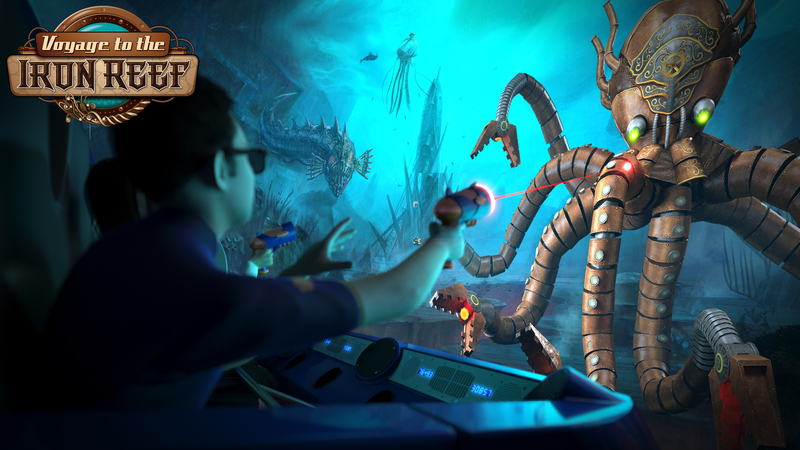 Voyage to the Iron Reef™ is a creative partnership between Knott’s and Triotech, the Montreal-based multisensory interactive attraction company that recently won two top industry awards for their work on Wonder Mountain’s Guardian at Canada’s Wonderland. 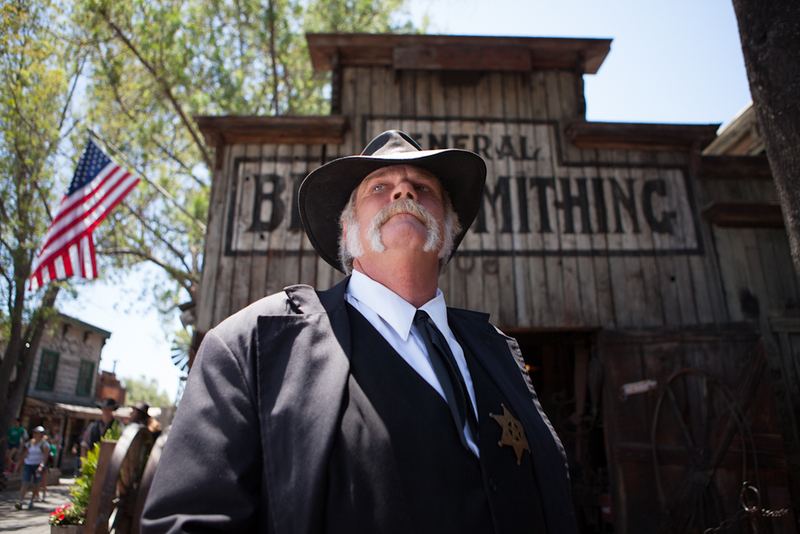 It promises to be a major attraction for Knott’s as it heads into the busy summer months. Also new this summer is an all-new retail shop, Nautilus (formerly Ride Warriors) adjacent to Voyage to the Iron Reef™, with a wide selection of steampunk- and underwater-themed merchandise; and the all-new Boardwalk Arcade, located directly beneath Voyage to the Iron Reef, with a fresh selection of popular video, redemption, and merchandise games, and a new reloadable game card system. Additionally, the laser tag compound inside Boardwalk Arcade will return later this summer with all-new twists, turns and new architectural features inspired by Voyage to the Iron Reef. 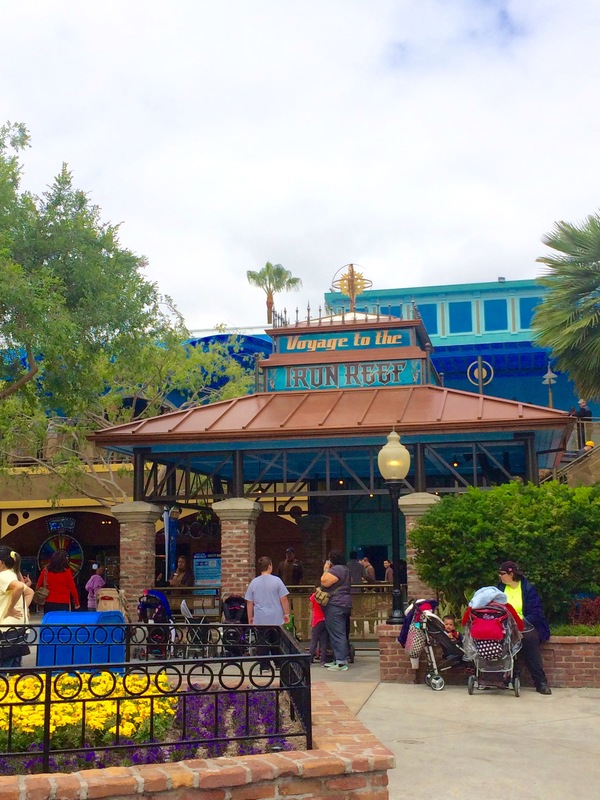 Blogger disclosure: I was given the opportunity to do an early preview of the ride. I did not receive compensation for this post. All opinions expressed are my own. 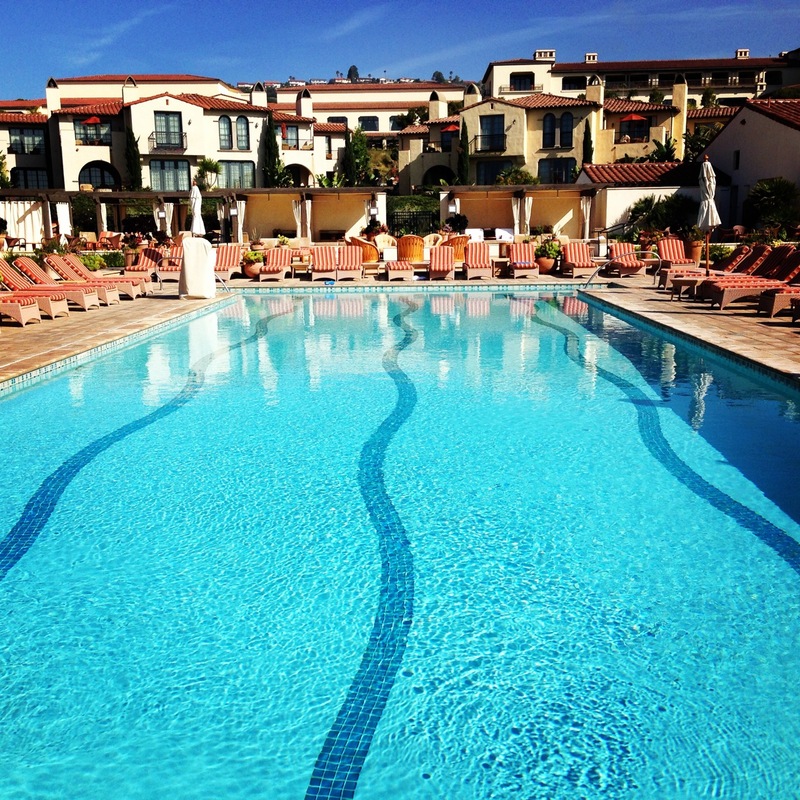 Swimming and waterslide: The 5,000-square-foot pool gives you plenty to do but it’s the waterslide that really sets the Terranea pool apart from other hotel or resort pools. The 140-foot Peninsula Plunge, a slippery and twisting downward spiral, is guaranteed to keep the kids occupied for hours. Bocce ball: The resort’s competition-style bocce ball court is fun in the daytime and spectacular at night with glow-in-the-dark bocce balls. Never played bocce ball before? It’s easy, and the kids can pick it up in an instant. Cove and Tide Pools: All it takes is a hike down to the cove at low tide, and the splendor of the ocean is right at your feet. 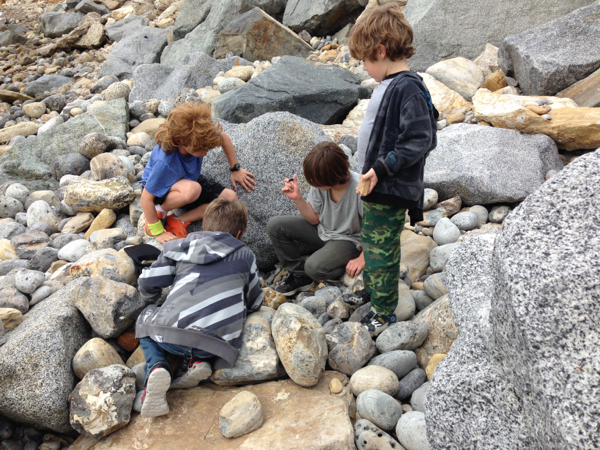 You’ll see sea anemones, sea slugs, starfish, shellfish, and plenty of rocks and crystals for your budding marine biologists and geologists to admire. 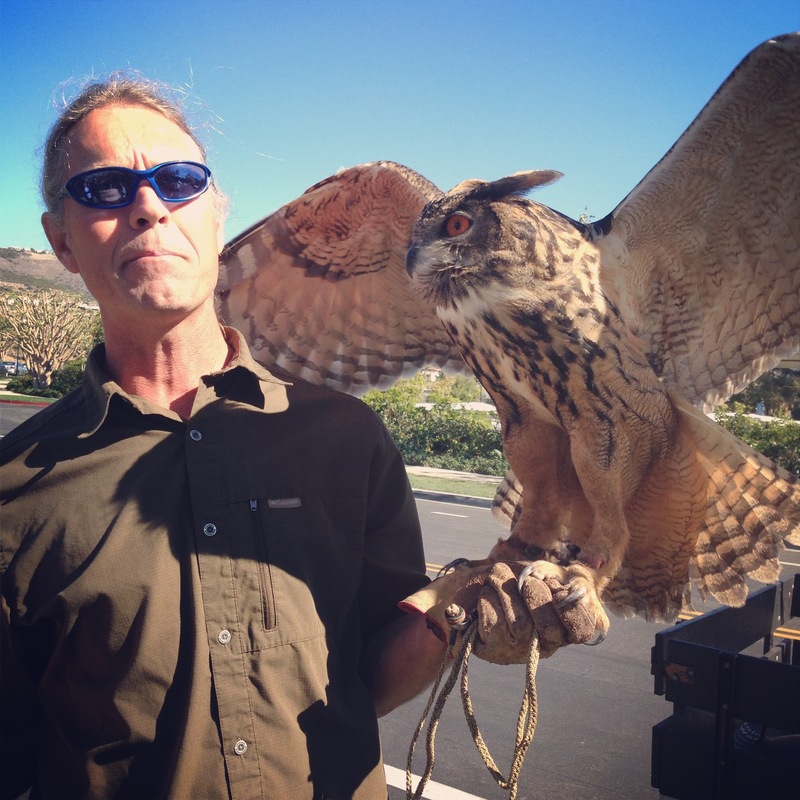 Birding: On weekend mornings at 11:00 a.m., join Joe the falconer for a free talk right outside the adventure center on the birds of prey that keep Terranea seagull-free. You can even get an up-close meeting with a peregrine falcon, a hawk, or Owlbert, the Eurasian eagle owl. If you want a more in-depth birding experience, you can sign up for a private session at Pointe Discovery. Hiking: Discovery Trail runs all along the length of the property parallel with the coastline, so naturally the views are spectacular. But informational signs along the way offer new perspectives on the native plants and indigenous wildlife. Plus, if your kids are tickled by a good ghost story, they may want to learn more about “The Lady of the Light,” a ghostly presence seen at the nearby Point Vicente Lighthouse. Kids’ Club: The kids’ club itself is a fun room with all sorts of toys and games. 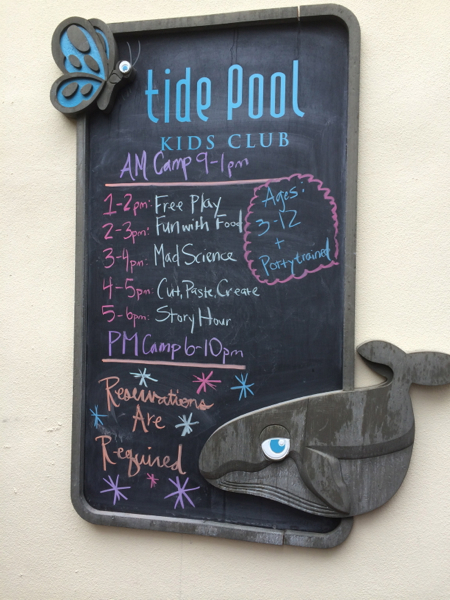 But what goes on at Kids’ Club is so much more than that. 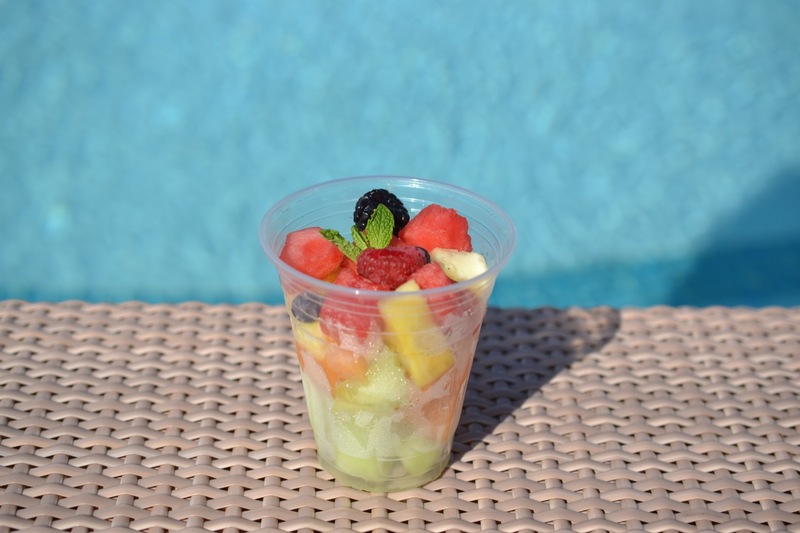 Each day, the activities may include an “I Spy” scavenger hunt around the resort; a treasure hunt; a talent show; and glow-in-the-dark activities for nighttime. Fire pits: Want to get cozy once the sun goes down? 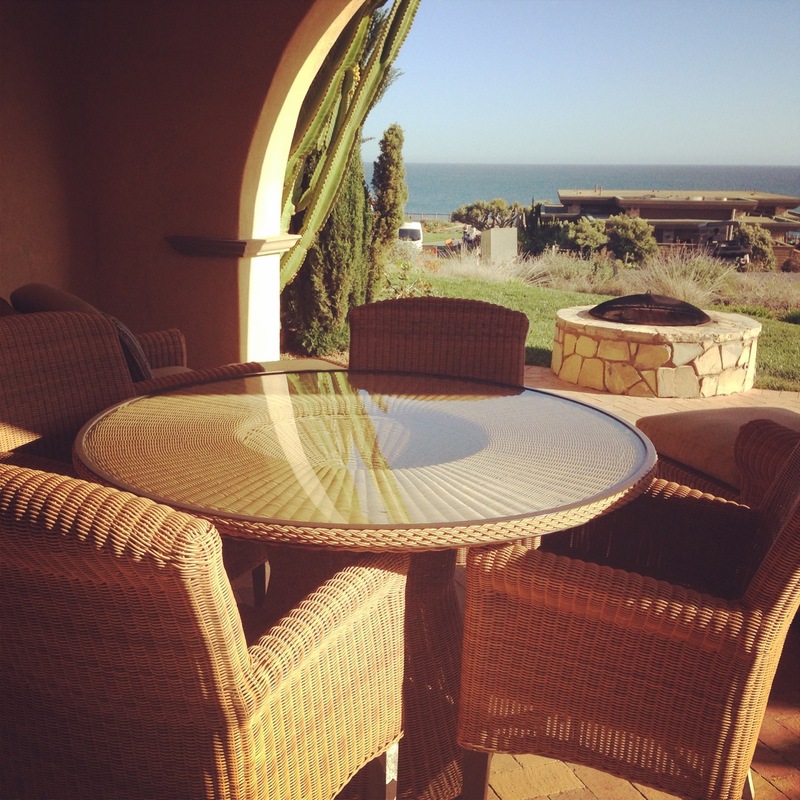 Stop by one of Terranea’s 228 fire pits or fireplaces to roast some marshmallows, sing a few songs, or just cuddle up and watch the flames dance while the ocean crashes in the distance. 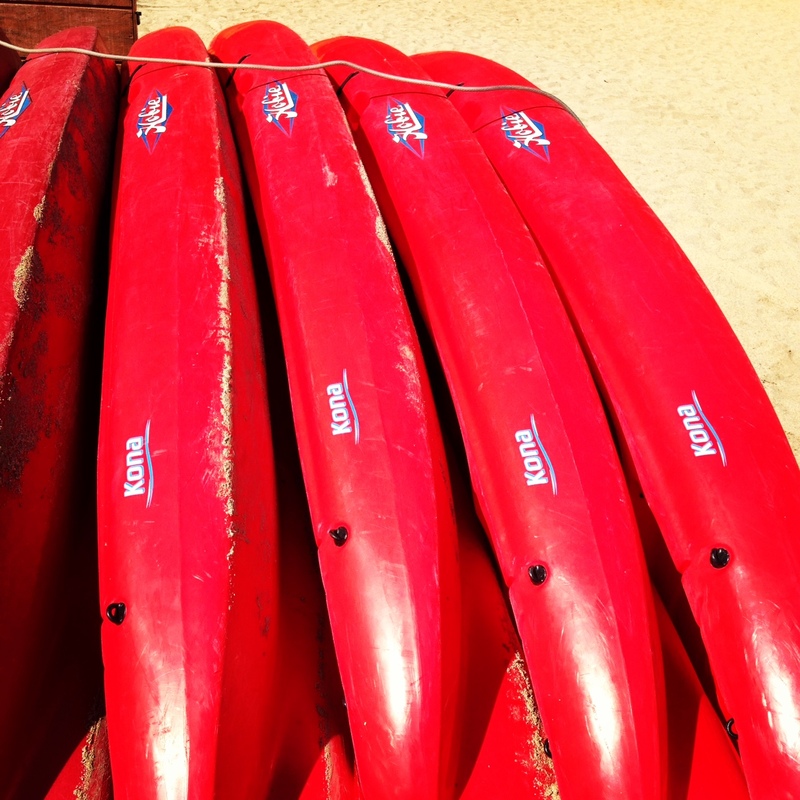 Biking, kayaking, paddleboarding, horseback riding, painting, photography…: If you and your kids have these or any other outdoor-themed interests, you can arrange to have a guided tour or lesson. Stop by Pointe Discovery to learn more about availability. 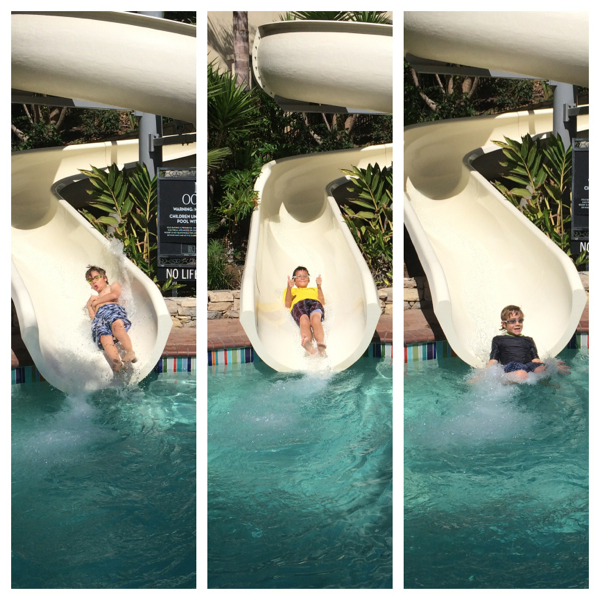 Do your kids have favorite activities they like to do at Terranea? Let us know! 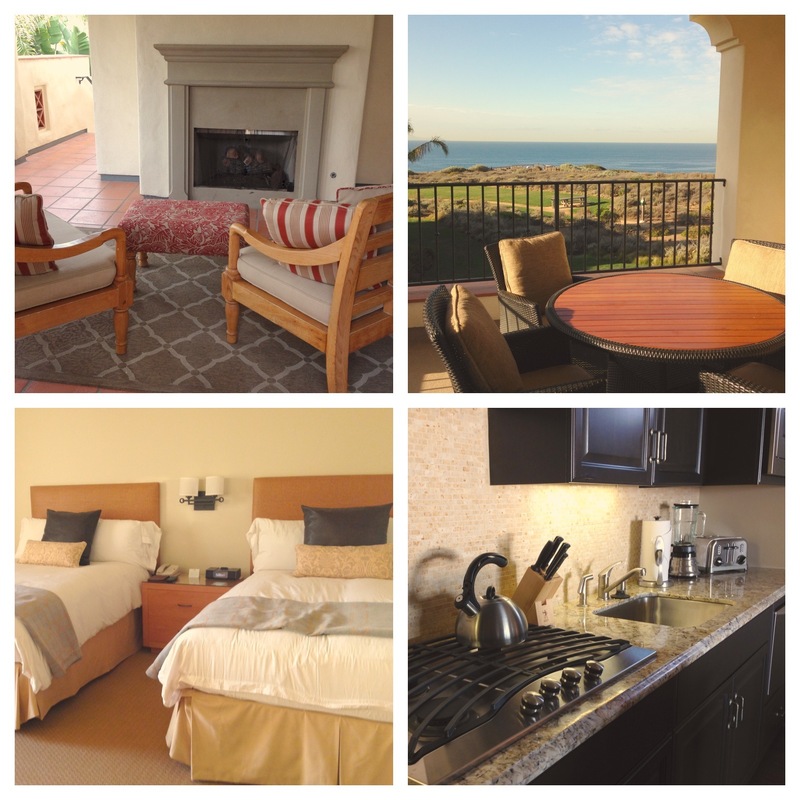 Looking for a relaxing weekend with your female friends in the South Bay? 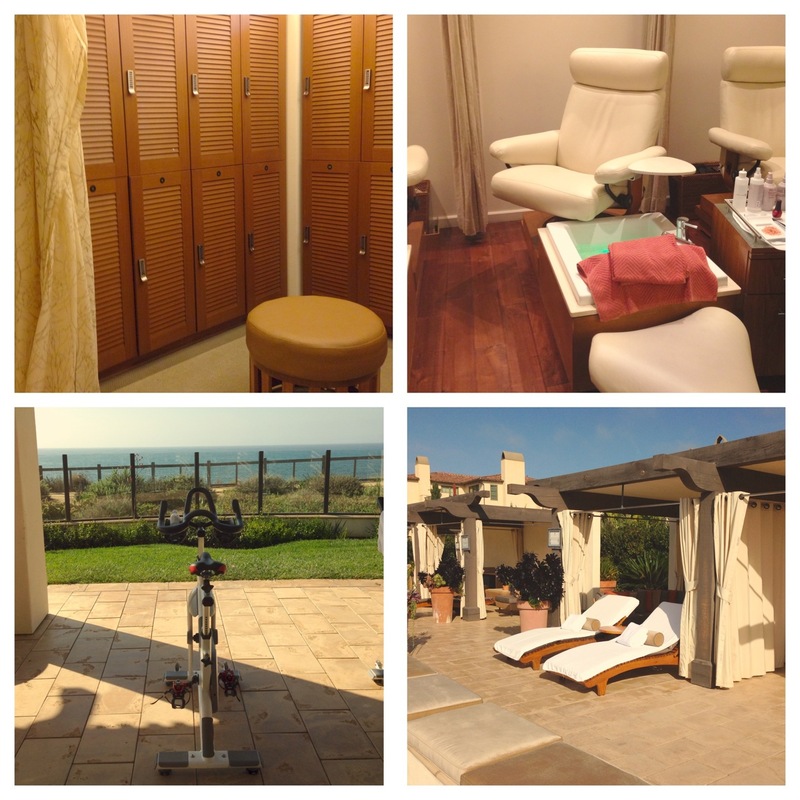 Look no further than the new Spa Bungalows at Terranea. These well-appointed bungalows have every imaginable amenity and plenty of space for everyone, plus they’re just steps away from Terranea’s world-class spa (where you’ll enjoy special benefits as a bungalow guest). We spent a recent night in a bungalow with two of our oldest and dearest friends (who had traveled from the snowy East Coast to get some much-needed sunshine) and the experience was pitch-perfect from start to finish. Clockwise from top left: Bungalow entrance, kitchen, living room, and guest room. The spa bungalow (we stayed in a two-bedroom configuration) was surprisingly large and roomy. There was a master bedroom with a king bed, and a large second bedroom with two full-sized beds, so we each had a bed to ourselves. Amazingly, there were three bathrooms, one for each of us (well, OK, one was technically a powder room – but still!). The kitchen was fully equipped with everything from a convection oven to a dishwasher. We had our own washer/dryer. 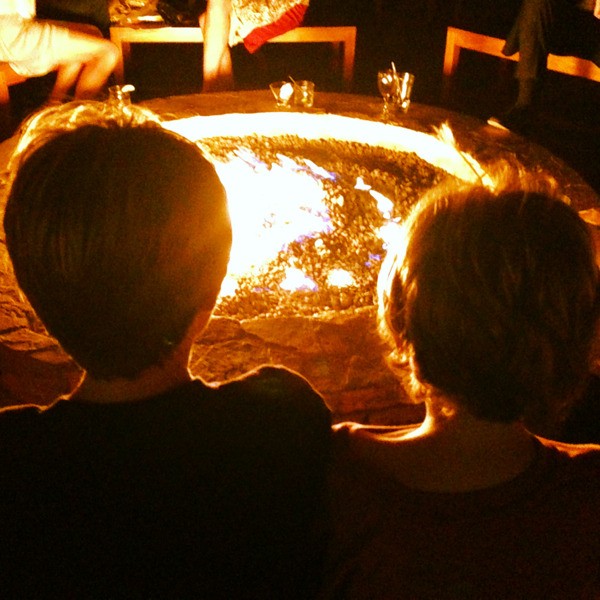 And best of all, there was a firepit outside on the patio, where we wound up spending all night talking and laughing. Extra touches? 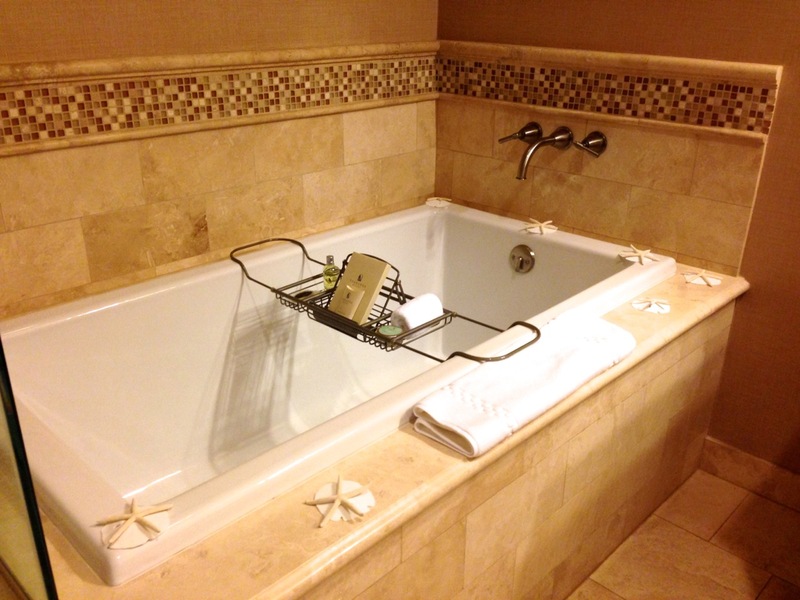 We loved the tiny starfish and sand dollars surrounding the bathtub in the main bathroom. The living room had a cozy fireplace as well as small weights, yoga mats, and other stretching equipment. And we definitely appreciated the Terranea water bottles that we found chilling in the fridge when we arrived – the perfect end to a long hike around the Terranea grounds. But the real attraction on this visit was the spa, which is just steps away from the bungalows. As soon as you walk in, you know you’re in for something special. The spa concierge gives you a locker, robe, and sandals – and then after that there’s nothing but extreme pampering. Your spa visit includes all-day access to the steam room, dry sauna, whirlpools, indoor/outdoor relaxation lounges and fire pits, as well as the hot tub, cold soaking tub, and the beautiful (ocean view, of course) heated lap pool, with plenty of comfy seating. Best of all, you can enjoy all of Terranea’s amazing spa services at 10 percent off the regular rate as a bungalow guest. A view looking down the length of the pool out to the ocean. 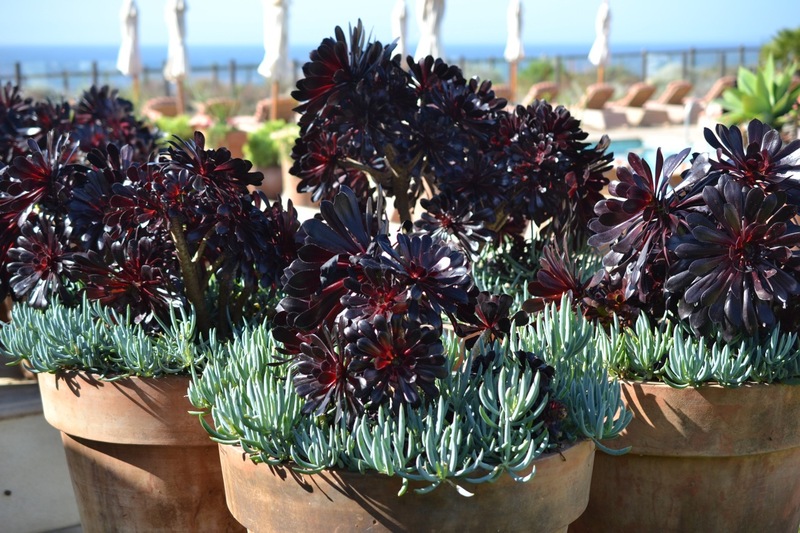 Some of our favorite succulent plants that grace the pool deck. Intrigued? Check out the Terranea Spa Bungalows page to learn more about all of the perks included in a spa bungalow. For more information and reservations, please call 866.802.8000. 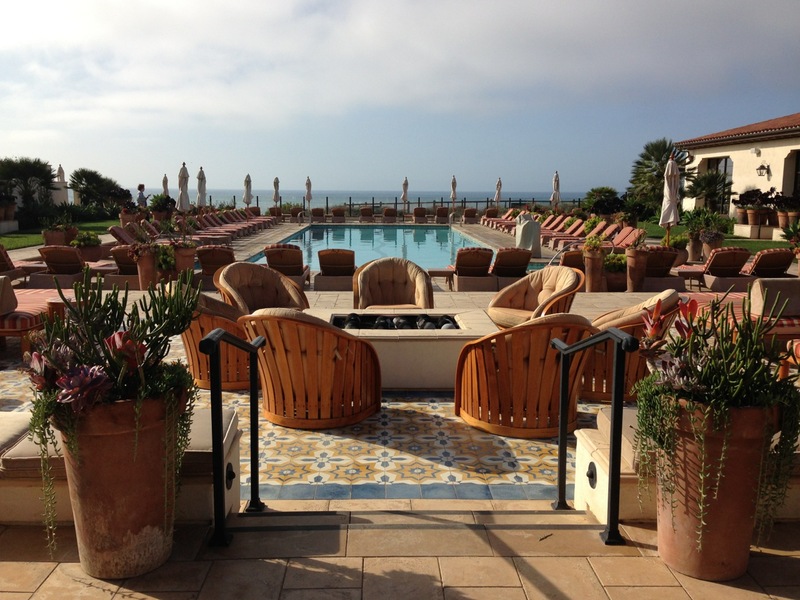 Note: We love bringing our kids to Terranea, but the spa and the Spa Cafe are only open to guests ages 18 and older. 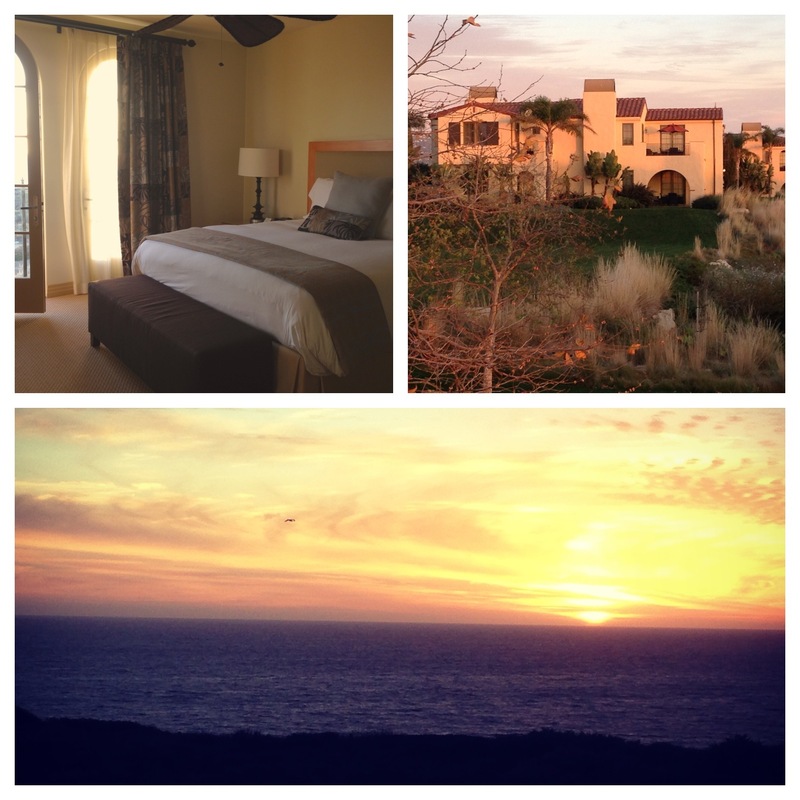 Blogger disclosure: We are serving as a social media ambassador for Terranea in 2014. 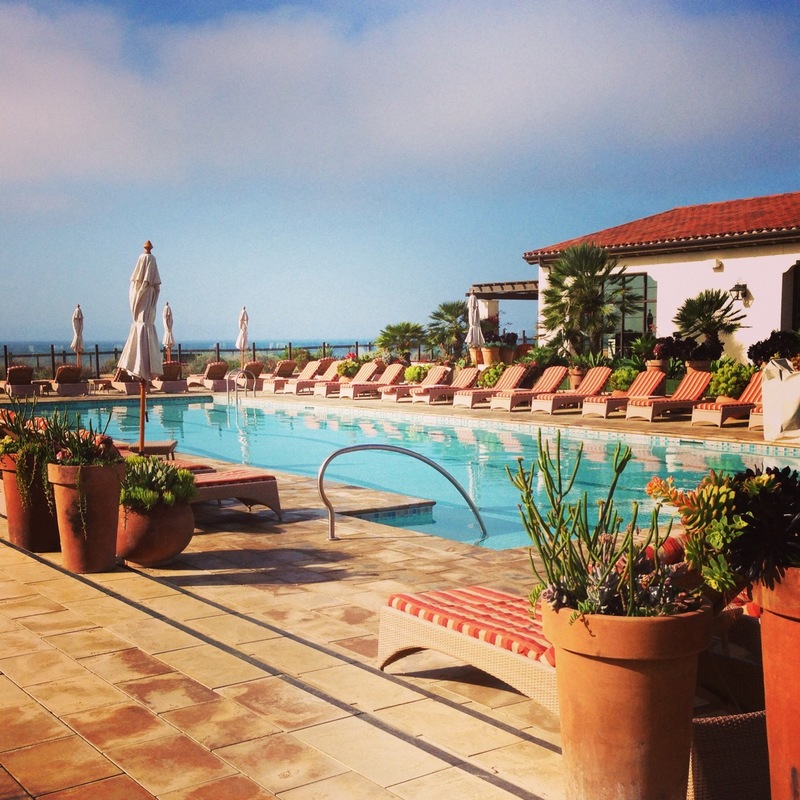 Terranea has offered us complimentary stays in exchange for promotion on social media outlets. All opinions expressed are our own. 2014 is still young, and there are still plenty of days (and special celebrations) to enjoy at Knott’s Berry Farm. Why not consider buying a season pass? Regular season passes include unlimited admission for 2014, exclusive ride times on select rides during the summer, discounts to Knott’s Scary Farm, discounts on select food and merchandise, and more…and the season passes start at just 6 payments of $14 each. To upgrade to a gold pass, it’s just 6 payments of $17 each, and you get all of those benefits plus unlimited visits at Knott’s Soak City OC. Upgrade to the platinum pass (6 payments of $32 each) and you get all that plus free parking AND free admission to all of the Cedar Fair Parks. 4) Coast Rider. There are roller coasters, and there are roller coasters. We love the new Coast Rider because it gives you a real sense of place. 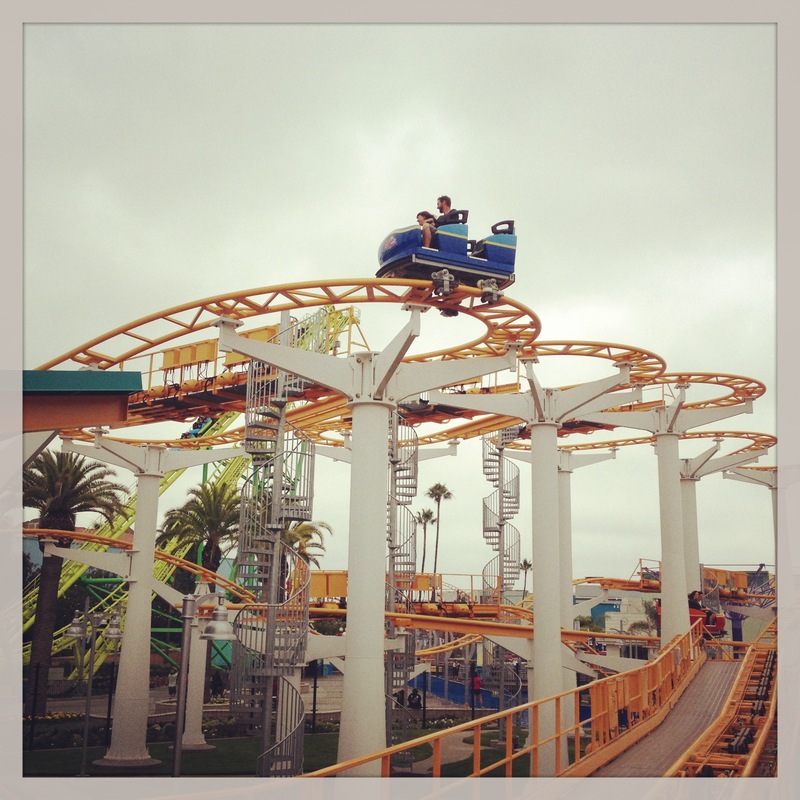 It’s like a giant thrill ride down the California coast – an experience you won’t have anywhere else. There’s a lot of adventure packed into 2 minutes and 30 seconds, and once it’s over you’ll keep lining up for more. 3) Camp Spooky. We’ve enjoyed the super-scary thrills of Knott’s Scary Farm, but we’ve had just as much fun if not more at Camp Spooky, the kid-friendly thrill zone at Knott’s during Halloween season. 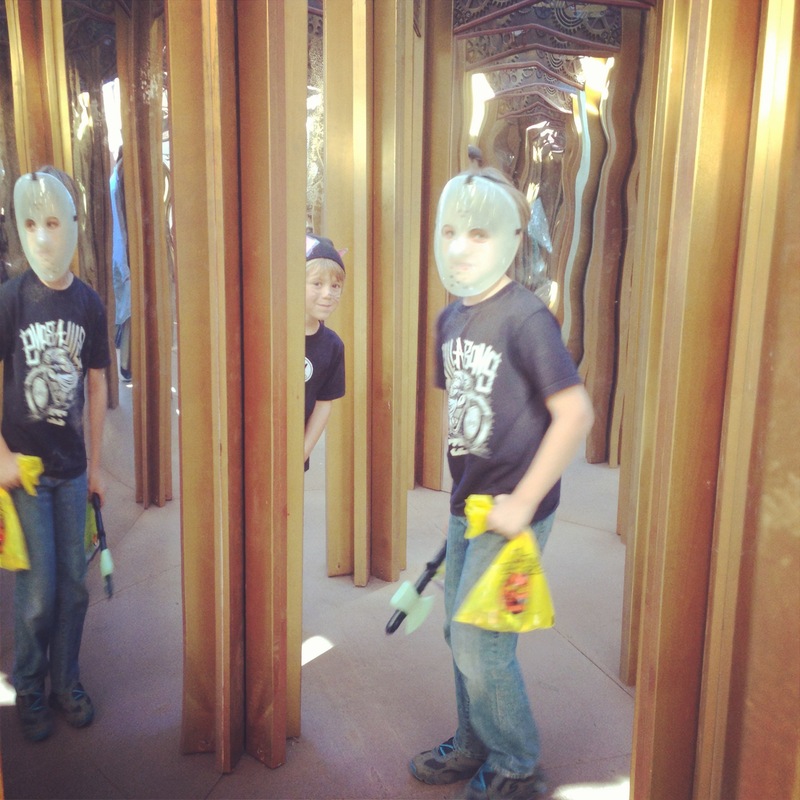 This year our kids loved decorating Halloween cookies, getting creeped out by real-life creepy critters, and walking through the house of mirrors in Camp Spooky at Halloween. It’s a low-scare, high-fun adventure that sets just the right tone for the younger set. 2) Rides at Christmas. 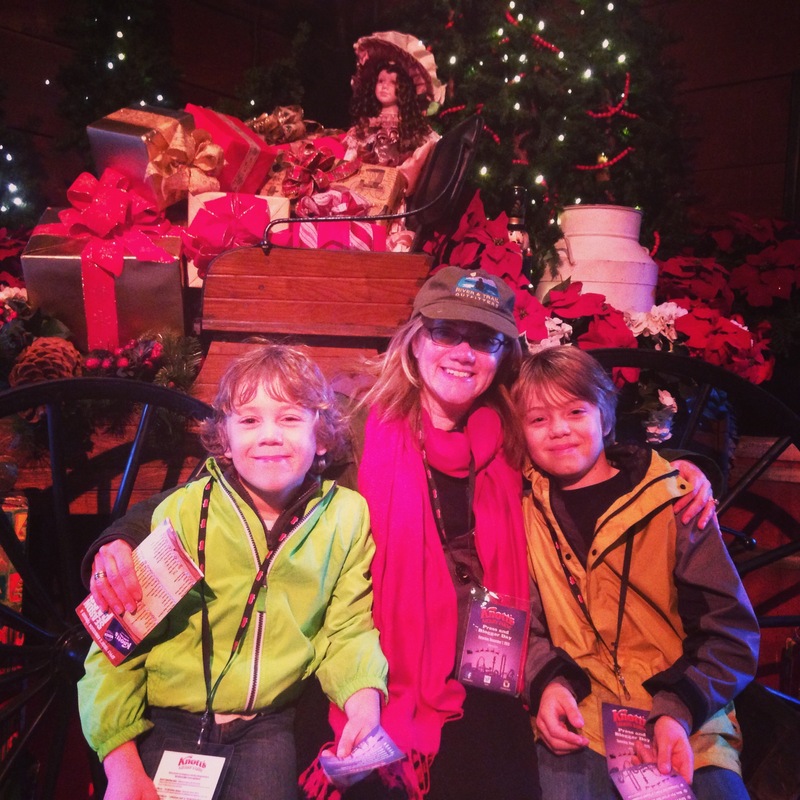 We love going to Knott’s during the Christmas season to enjoy the decorations and all of the special holiday features. 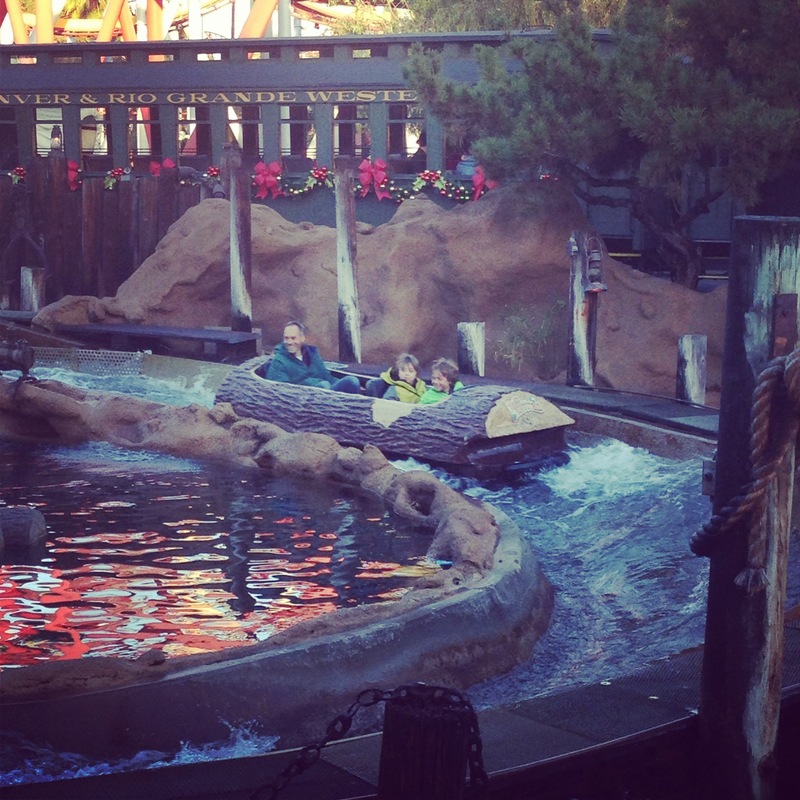 But one hidden advantage to going to Knott’s in the colder months is getting in on all of the fun water rides while the crowds are smaller. This year we all donned raincoats on one cloudy morning and we rode the Log Ride over and over and over again (when everyone else thought it was “too cold”). Who says you can’t have some good water fun in the winter? 5) Family time at Wilderness Dance Hall. 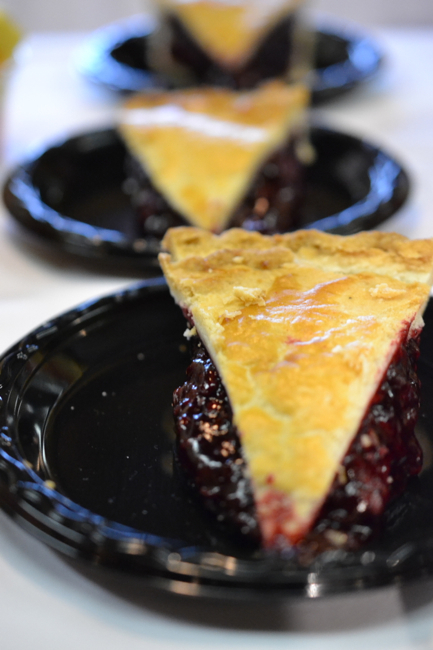 After a long day of rides and fun, there’s nothing we love more than hunkering down for a tasty snack, a warm drink, or a good show at Wilderness Dance Hall. Lots of happy memories here. Convinced yet? Now here’s a chance to win a four-pack of season passes to Knott’s Berry Farm. 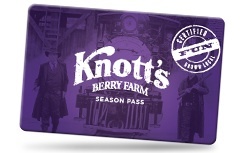 All the details are here on this Knott’s Berry Farm Season Pass Contest page (must be 18 or older to win). Good luck and see you at Knott’s! As soon as you arrive at Terranea Resort, you’ll have a sense of everything being on a large scale – massive ocean views, spacious rooms, towering cliffs. 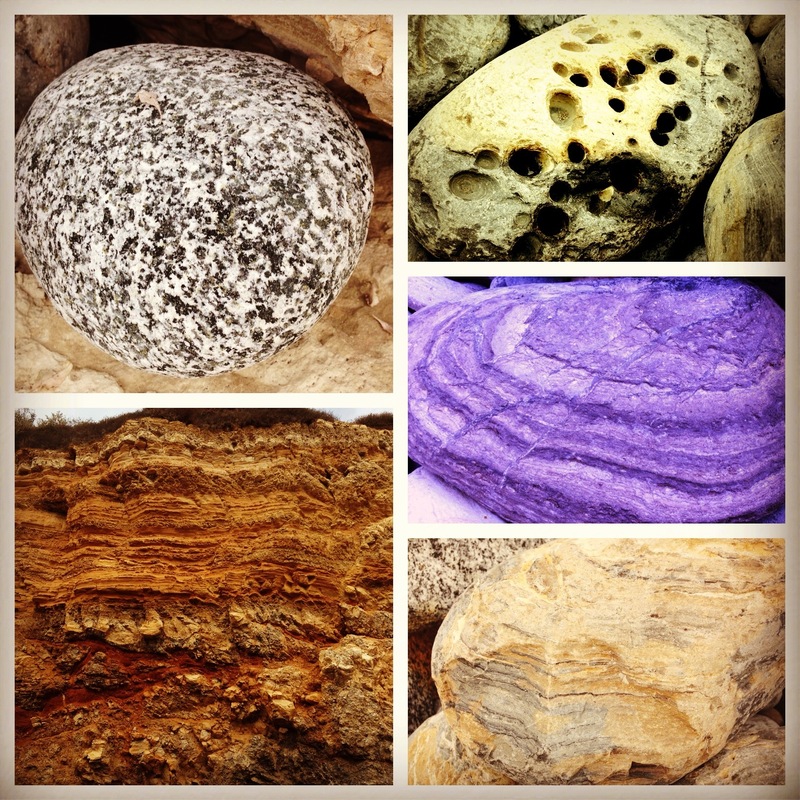 But some of the real beauty of Terranea is in the smallest details. Intrigued? 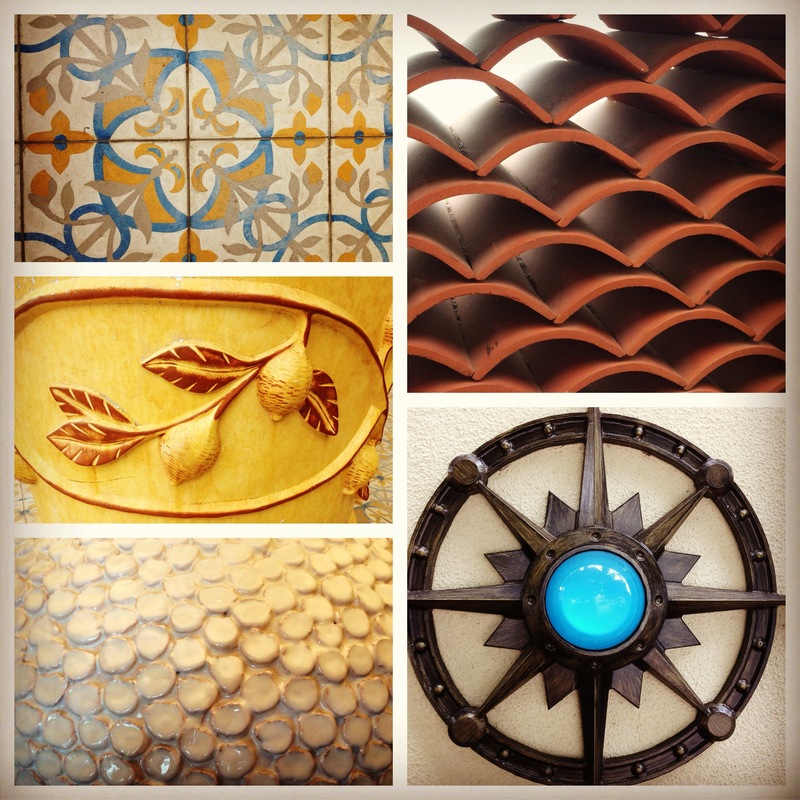 Step through the doorway and start looking closely at Terranea, piece by piece. 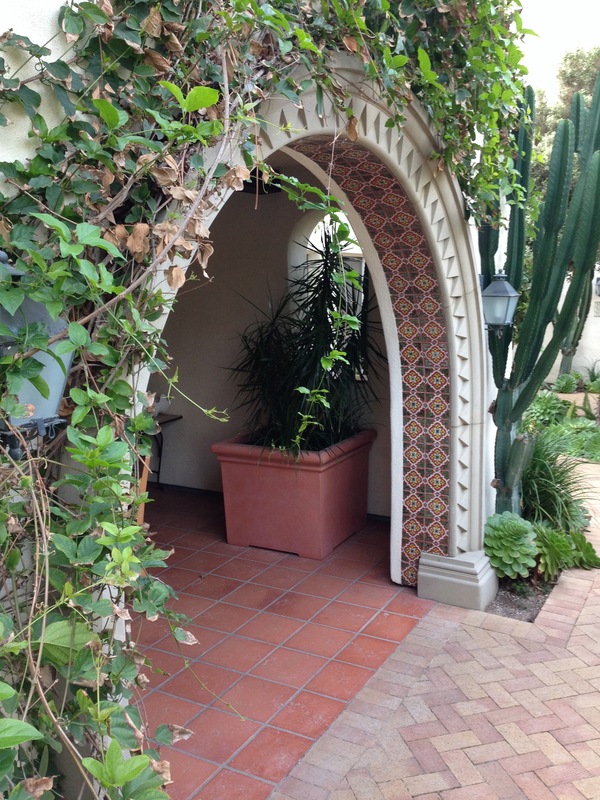 Here is the lower entrance to one of the Spanish-style casitas: Painted tiles line the walk ways and stair wells. 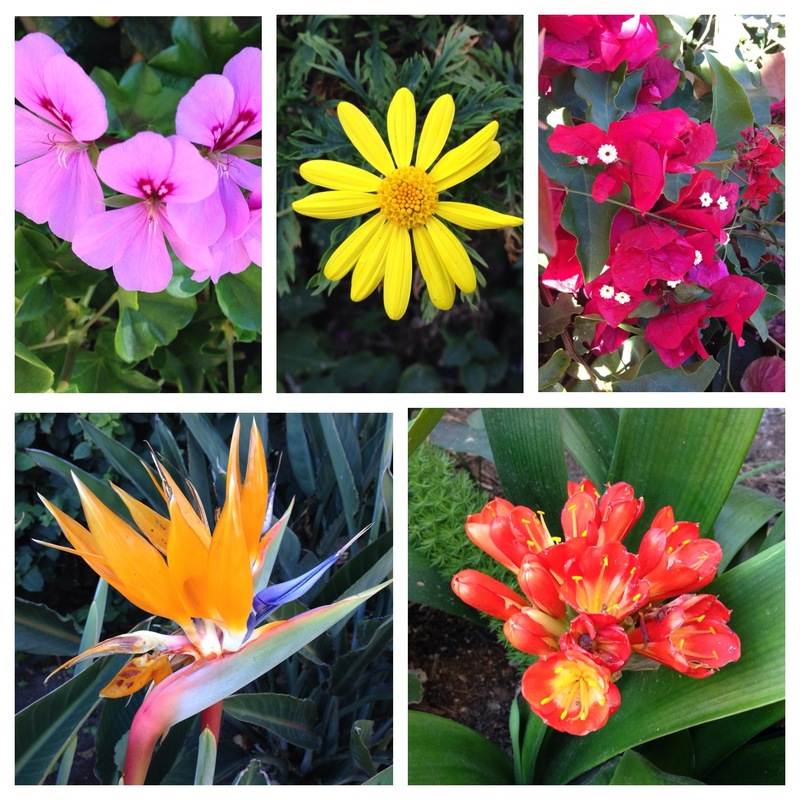 And even if it’s overcast and in the mid-60’s (that’s winter weather in Southern California) there are still plenty of flowers in bloom. 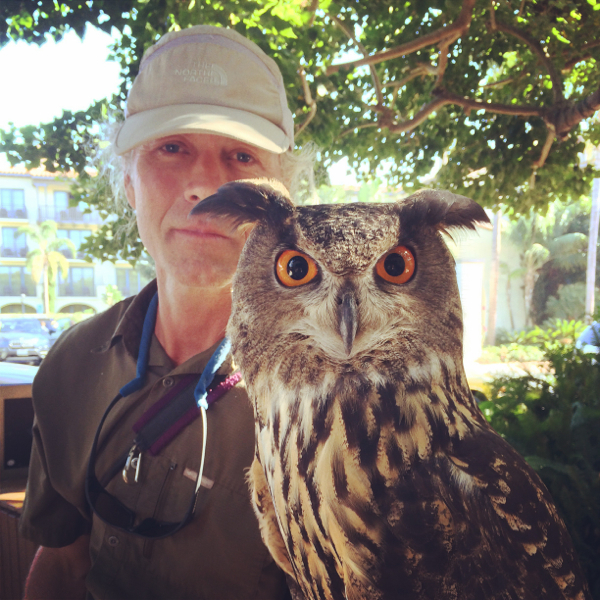 And if you get a chance to meet Terranea’s resident falconer, you might just meet this guy, Albert, a Eurasian eagle-owl who cruises the property. Look at the wingspan on this magnificent creature – and check out his orange eyes! 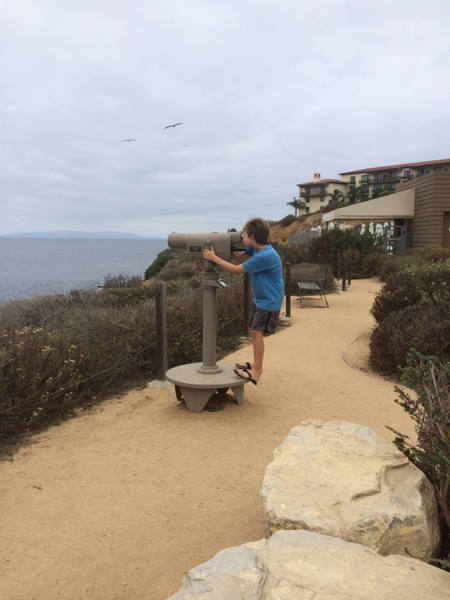 If you’re headed to Terranea soon, don’t forget to have your eyes open for these details and more. Happy exploring! 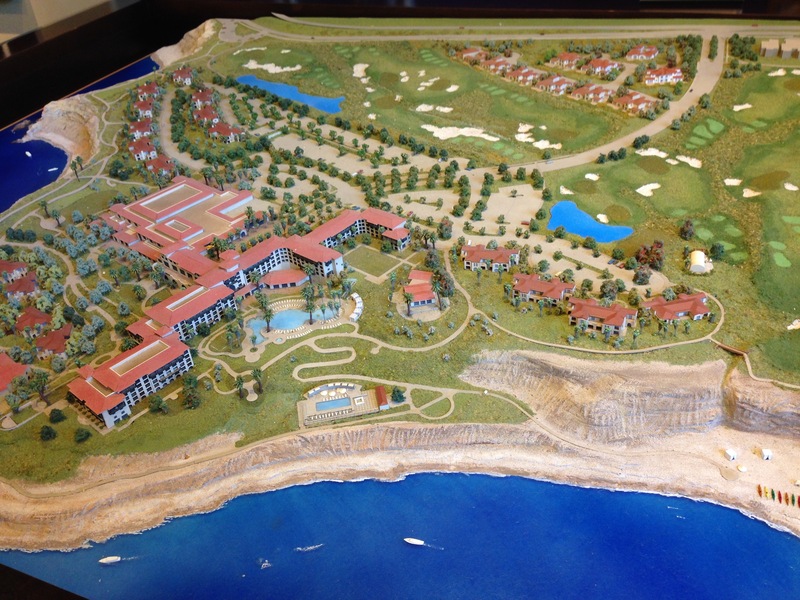 Terranea Resort, 100 Terranea Way, Rancho Palos Verdes, CA 90275. Reservations: (866) 802-8000. 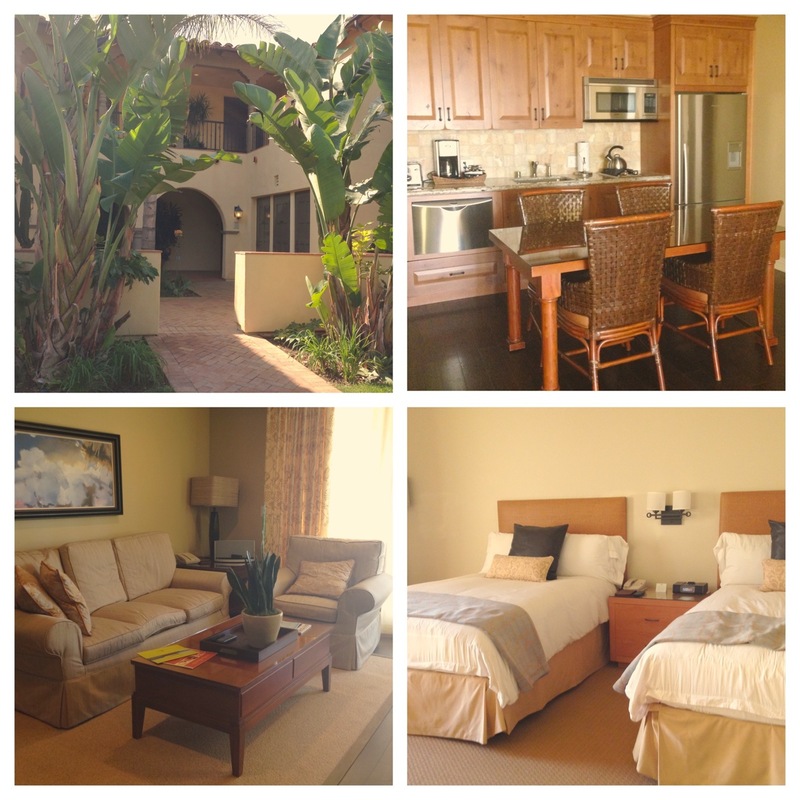 Every room at Terranea is amazing, so you really can’t go wrong. 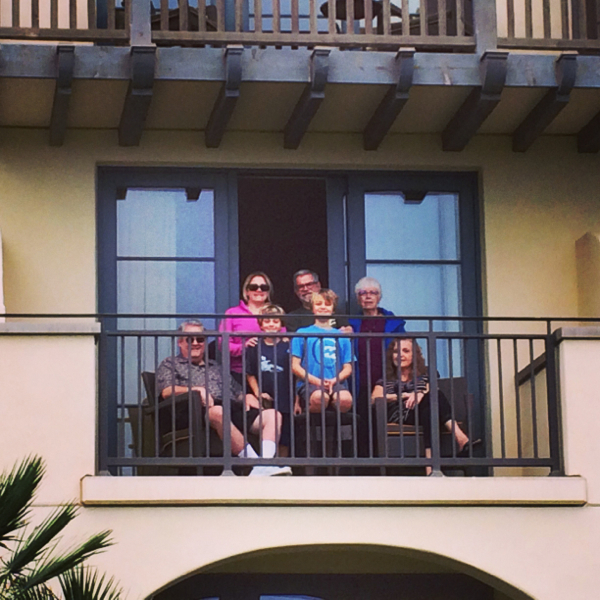 But if you want a step up from the traditional hotel room, or if you need a little more space, the well-appointed ocean front casitas at Terranea are the perfect vacation rentals for a getaway weekend or longer. 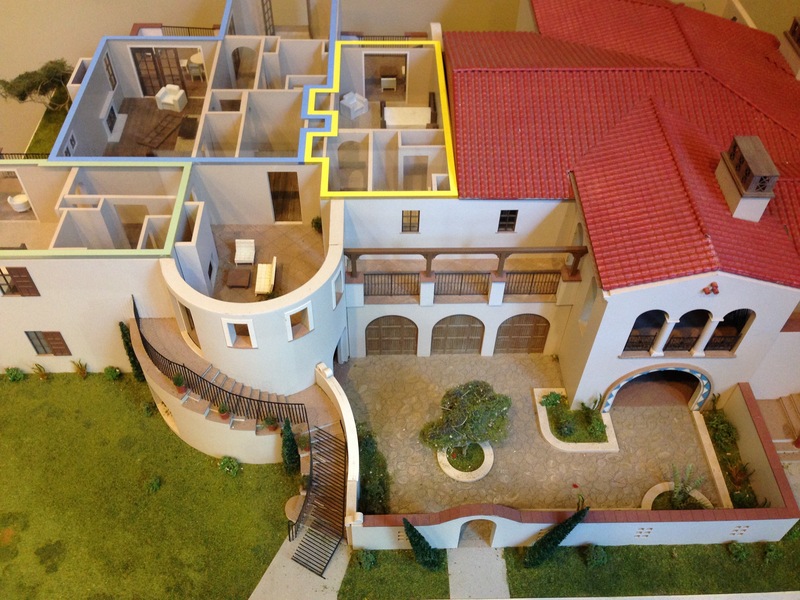 From the architectural model of a casita below, you can see how it is comprised of three parts. If you want a one-bedroom, you rent the center portion (outlined in blue) that comes with a king-sized bed in the bedroom, plus a separate living room, kitchen, laundry nook, and dining patio. The kitchen is fully equipped with a refrigerator, four-burner stove, and convection/microwave oven. If you need room for more friends or family, you can add on a second full bedroom and bath (outlined in yellow) with two double beds. And for a full three-bedroom casita, you can rent an additional non-connecting bedroom (outlined in pale green) with a king bed and its own bath. All three units have their own entrances and share an outdoor entrance patio furnished with chairs and a fireplace. Inside, the casita is extremely comfortable and luxuriously appointed. You’ll find lovely tile work in the kitchen and bathrooms, marble counters in the kitchens, and attractive artwork throughout the units. Here’s a composite view that sums up our first night in the casita as we enjoyed the sunset from the balcony of the master bedroom. With this kind of view, how can you go wrong? Feel like staying even longer? The casitas are also available for purchase as a vacation home with loads of special benefits for owners. 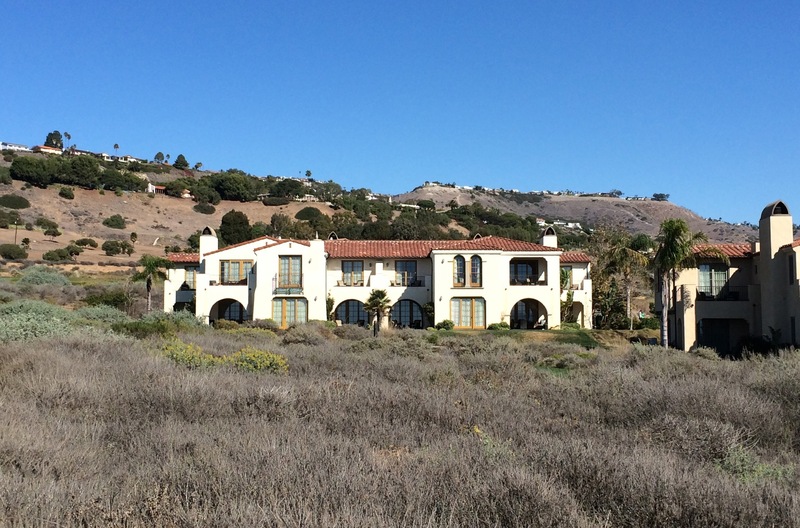 Call 310-265-2888 for more information on vacation homes. Disclosure: I am spending the year as a social media ambassador for Terranea, for which I am receiving complimentary stays. I did not receive compensation for this post.